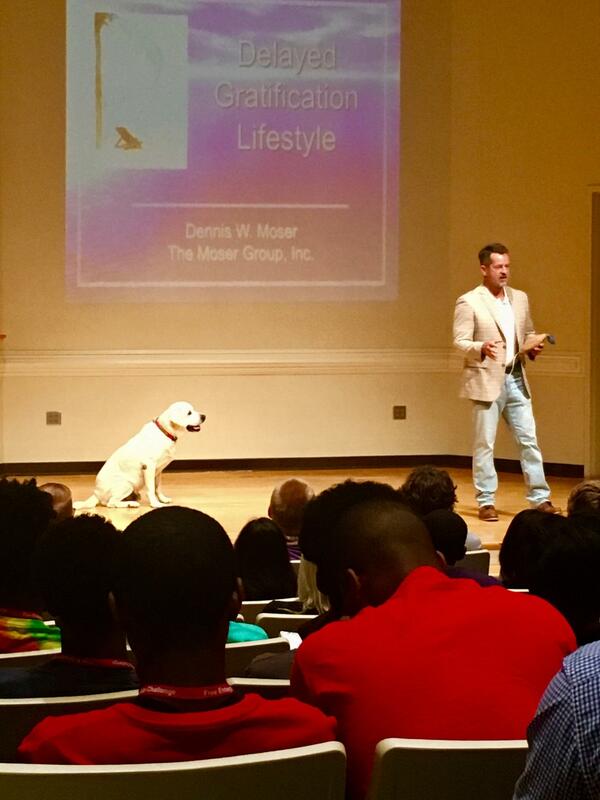 Delayed Gratification Lifestyle – Dennis W. Moser – The Moser Group Inc.
(June 28th, 2017) Dennis W. Moser & dog, Tex, presenting at Wingate University’s Entrepreneur Camp. Dennis W. Moser, CEO, believes in giving back to the communities in which we live and work in. One of those ways is speaking at Entrepreneur Camps at Wingate University, awarding scholarships to students and encouraging the next generation to pursue their dreams, work hard and live a Delayed Gratification Lifestyle.